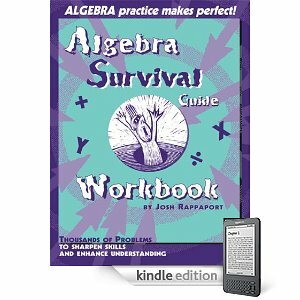 Algebra Survival e-Workbook arrives TODAY!! The “Algebra Survival” Program goes totally electronic! Singing Turtle Press is delighted to announce that the companion Workbook for the Algebra Survival Guide is now available in eBook format. e-Version of ASG Workbook ARRIVES! eVersion of Algebra Survival Guide ARRIVES! The eVersion of the Algebra Survival Guide is HERE! The standard price of the paperback book is $19.95, but now you can get the eVersion of this book, and have it with you electronically, for HALF the price $9.95! 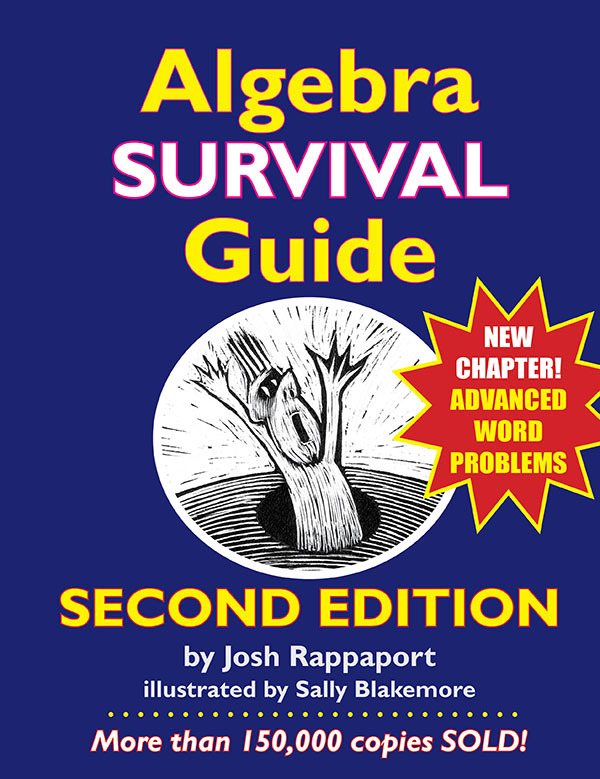 Algebra Survival Guide, now in convenient eVersion! 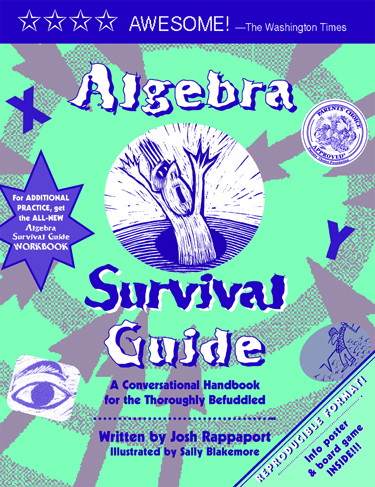 The Algebra Survival Guide, which debuted in 2000, has sold more than a quarter of a million copies. It has also garnered a Parents Choice award, and it has been used in school districts all across the country as the cornerstone curriculum for Algebra Professional Development Workshops. The book is read and used by struggling students, teachers, tutors, homeschoolers, and parents. It is an easy book to read, as it is written in a friendly Q&A conversational style. The companion workbook, soon to be available in an eVersion as well, provides thousands of additional practice problems. Check this book out on Amazon.com at this site!